My brother and I have been playing Lego Harry Potter together since it was released a couple of months ago. Last night, we finally completed the game, earning 100% of all characters, red bricks, gold bricks, house crests, and students in peril. Overall, the Lego games are a lot of fun and this was no exception. We have played every Lego game together since the Star Wars Prequels version came out a few years ago. Honestly, that first game might still be my favorite and though I enjoyed the following Original Trilogy version quite a bit as well, there is just something about being able to choose from a plethora of lightsaber-wielding Jedi and Sith (especially Darth Sidious!) that is hard to beat. Nonetheless, I would put Harry Potter as a close second. It was definitely better than Indiana Jones and Batman, which I felt were both lacking in the character department. Lego Harry Potter includes 24 playable levels, six for each of the first four books. We played through them on story mode pretty quickly and though we didn’t have any trouble beating the levels, we found that we didn’t get many of extras. For each level, you can unlock three characters, rescue a student in peril, attain “True Wizard” by collecting a certain quota of coins, and find the four parts that make up a Hogwarts crest. I think we ended up playing most of the levels three times before we collected everything. Collecting the coins, student in peril, and crest would also give you a gold brick for each. In order to unlock a bonus level and the final character (Lord Voldemort), you need to collect all 200 gold bricks. In addition to the levels, you can also wander around Diagon Alley and Hogwarts, where there are additional students in peril, gold bricks, and 20 red bricks. Unfortunately, we couldn’t quite find everything on our own and had to keep a laptop nearby the last couple times we played so we could look up the final few gold bricks hiding within Hogwarts (which is one hell of a maze) and the last student in peril. This game really is a blast for kids and adults. 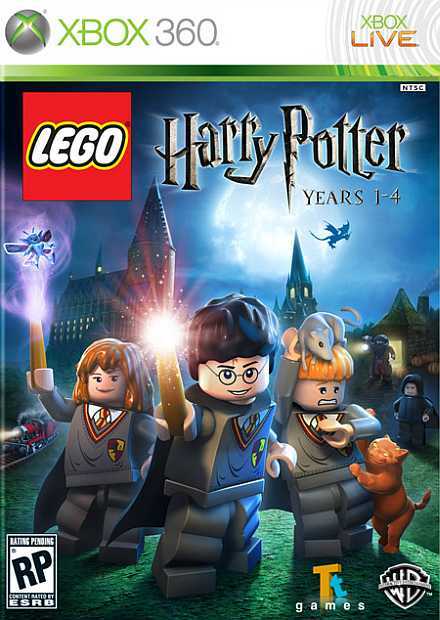 If you are into Harry Potter, and even if you aren’t really a gamer, it’s a lot of fun and allows you play with all of the characters you love (and hate) from the series. Highly recommended.